Amityville, "The Friendly Village", is one of Western Suffolk County's historical communities. Early settlers purchased the land known as West Neck South from the Massapequa Indians in the late 17th century and renamed it Huntington South after their hometown in 1790. The name Amityville was selected by the residents in the 1840's for the community's first post office in 1850. Suffolk County is the easterly portion of Long Island where many Native Americans thrived and prospered. The Indians called this Island Seawanhacky, this means Island of Shells. In 1917, America decided to enter the war that was being fought in Europe. This decision was against the principles laid down by our founding Fathers regarding entanglement with Europeans. However, we felt that this war was the war to save democracy, so we went in and changed our status from an isolationist to a warring nation. Throughout America, men were being drafted and sent overseas. The young men of Amityville were no exceptions. Among the men sent from Amityville, three were to blaze the history of Amityville by participating in a meeting held on March 15, 1919 in Paris, France for the purpose of organizing a group now known as the American Legion. These men were Arthur Hunter, Arthur Squires and Frederick Jackson. The Hunter-Squires-Jackson Post was named after three WWI veterans of the old 15th Regiment; later called the 360th Regiment. Arthur Hunter, Arthur Squires and Frederick Jackson, members of the 360th Regiment, served their country well and fought at Chateau Thierry, Marne and St. Mihiel in service with French regiments. Both Arthur Hunter and Frederick Jackson received a "Croix de Guerre". 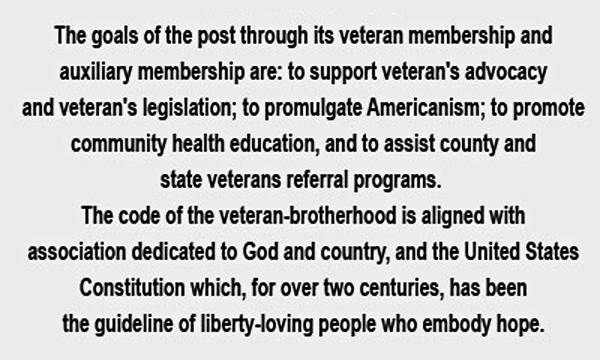 The American Legion provided for any group of men who served in the armed services in this country or abroad. In order to establish a post, a charter must be secured. In 1938, Thomas Green Sr., the Hunter and Squires families, along with several other families wanted to apply for a charter. A meeting was called and they met at "Freddies' Rendezvous" on Albany Avenue and Park Place and decided to apply for the Charter and call the post, "Hunter, Squires, Jackson Post." The Charter came back with the number 1218. The Charter members of this new Post were Thomas Greene Sr., Wilbur B Miller, William Brewster, Henry Dorsey, George B. Russ, Theodore Fowler, Alvin Mayhew, John E. Jackson, and Townsend Jackson. Thomas Greene Sr. became the first Commander. A meeting place had to be found as the membership was growing. A committee was appointed to look for larger quarters and a place was found. Land for the building was secured through Mr. Ernest Hunter, Patriarch of the Hunter family, who donated the land where the Post is now located at 133 Dixon Avenue. The Post's chapter confirmation was issued on March 29, 1938 to the membership of 15 charter members with Thomas Greene Sr. as Commander. In 1938, the wives and other relatives decided to organize an Auxiliary, and their first president was Mrs. Leona Hunter. As the minutes indicate, there were many activities such as visiting the sick, taking gifts to hospital patients, and making bandages for the Red Cross. The most active member of the auxiliary was Mrs. Mary Ross. In 1941, the Women's Auxiliary was formally instituted with a membership of 25 active participants in legion events. In addition, the H.S.J. Legion Drum and Bugle Corp. played an important role in various activities as a part of its youth and community programs with 31 talented musical members. On June 15, 1947 the H.S.J. Legion Drum and Bugle Corp played in an United Nations Pageant “Drum and Bugle Corps Contest” at a “Portraits Unveiling” by noted painter E. Cecil Stoner of which Mrs. Theodore Roosevelt (President’s wife) was one of the speaker. Over the years, there have been many county and state officers selected from the Hunter-Squires-Jackson Post membership who have proudly served New York State and the Nation in promoting veteran solidarity.